Is ‘scrambler‘ the most overused description in the custom scene vernacular? Probably. 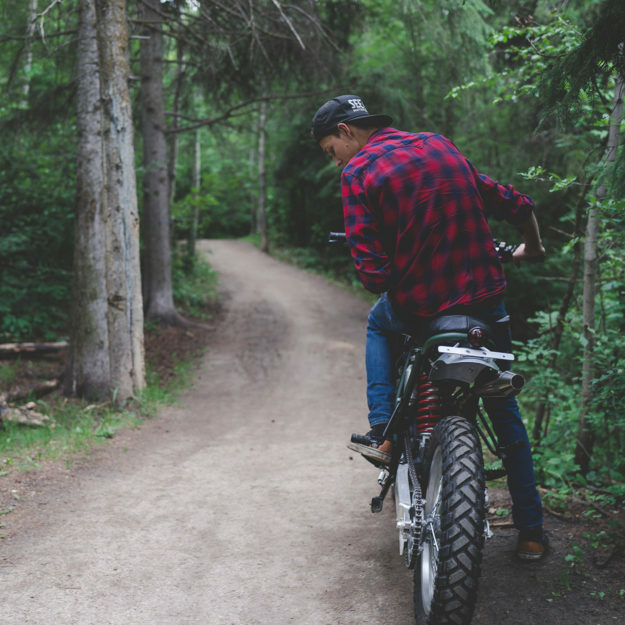 It’s been allocated to everything from street bikes with upright ergonomics and knobby tires to true do-it-all machines. We dig them all, but we’re suckers for the real deal. 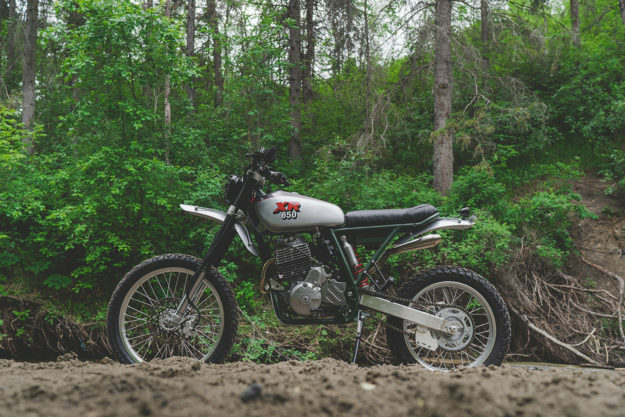 So this machine from Federal Moto has us giddy—a fully-functional dual sport given a classic scrambler vibe. Randy Venhuis of Federal’s Canadian outpost in Edmonton, Alberta put it together. Federal now has a second branch in Chicago—but since the client for this project was based in Canada, Randy got the call. 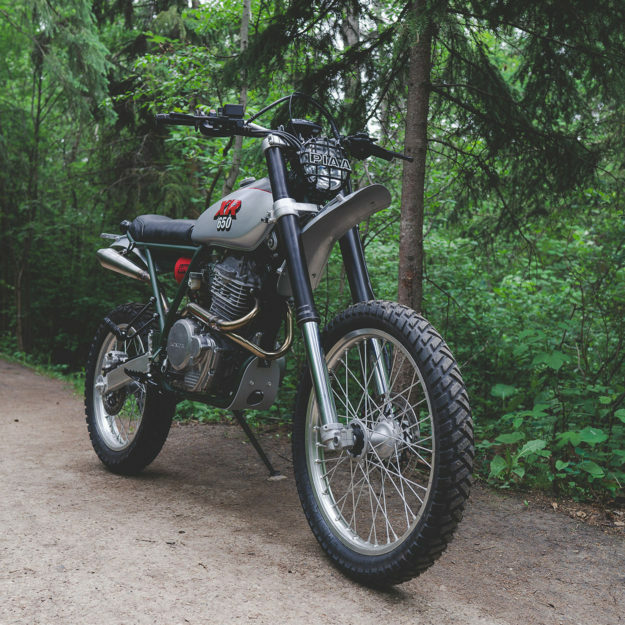 A 2006 model XR650L was sourced and handed over to Randy. His mandate: strip off all unnecessary clutter, add some nods to the past, and mix in some modern features to keep it functional. 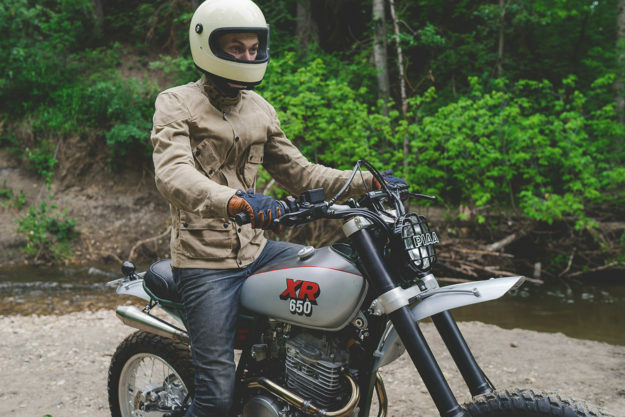 In stock form, the XR650L is delightfully utilitarian—but it’s also a little gawky. Randy remedied this by discarding all the bodywork and starting over. 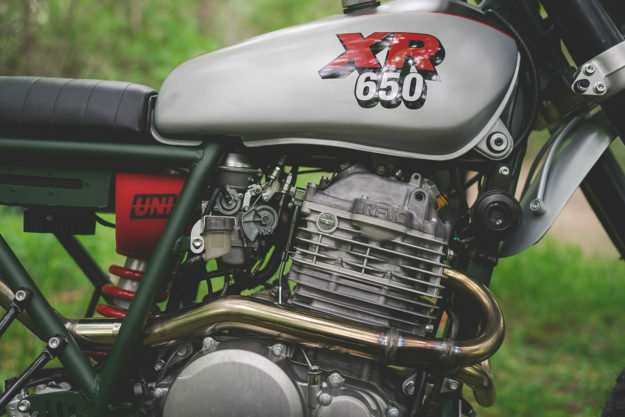 He then adapted and fitted a 1980 Yamaha XT500 fuel tank—adorned with ‘XR650’ decals that mimic the original XT graphics. The airbox is gone, replaced by tough Uni foam filters. 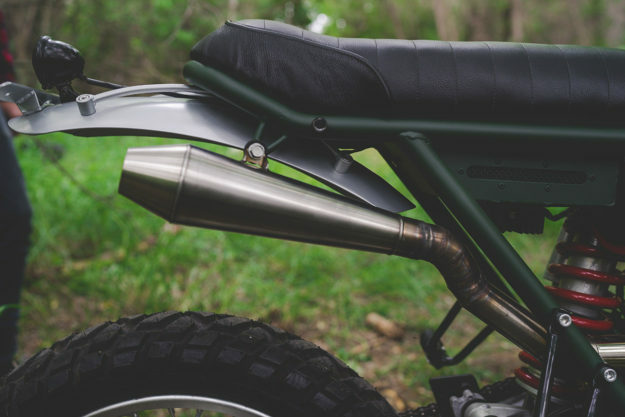 And the exhaust system is made up of FMF headers, a stainless steel connector and a 12” stainless steel Cone Engineering muffler. 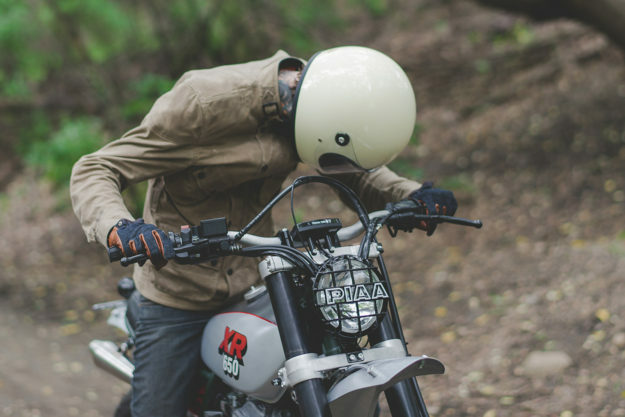 Equally sensible is the cockpit—it’s kitted with the sort of parts you’d expect to find on a Honda thumper. There are Pro-Taper risers, Renthal fatbars and half-waffle grips, and a Trail Tech Vapor dash. The headlight’s a PIAA LP520 unit, and there’s a Bates-style LED tail light out back. 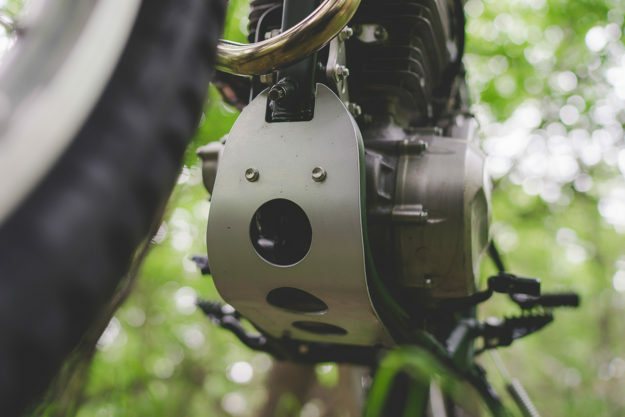 Tiny (but bright) Motogadget m-Blaze turn signals round out the lighting package. 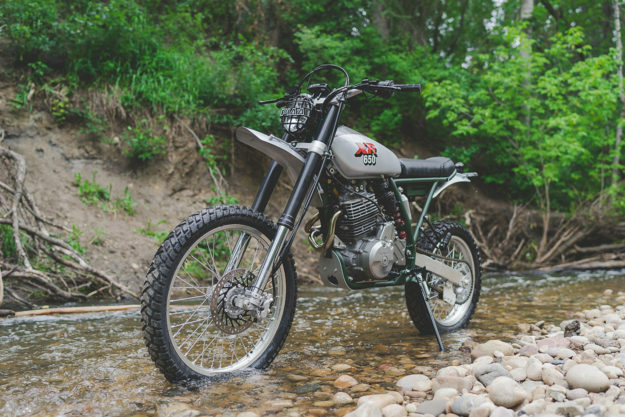 The Honda’s loaded with neat little touches—like the custom-made bash plate and aluminum gas cap—and the green coat on the frame is inspired. 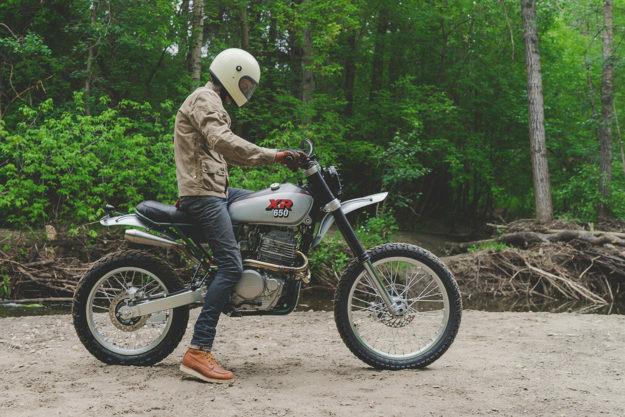 It’s a damn fine looking motorcycle, but—more importantly—Federal’s mods all make sense. Kenny’s a lucky guy.